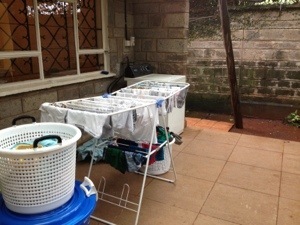 We have been in Kenya four weeks now and moved into our house just three days ago. Lots of laundry piling up so it feels like home already! It’s just a bit harder to get things dry now that its rainy season. But we’re so thankful to be moved in and have a stove working as our teammates begin to trickle in from South Sudan. One family has been very ill and came in a few days early, so please pray for them. Pray that we can bless them all with a little southern hospitality in the coming days before our big Spiritual Life Conference May 6-10. 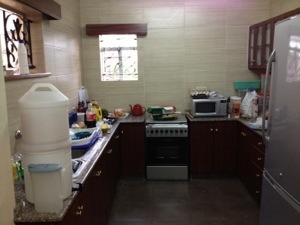 Everything here takes much longer to accomplish – including cooking! The children are all doing very well – making friends here where we live and happy to have a “home” again. Mark and I are slowly getting to know the workings of our team and the individuals and families it consists of. Tomorrow, Mark will meet two of our newest teammates at the airport- Getachew and Tibarek. They are from Ethiopia and are coming as missionaries from the Ethiopian church to work in South Sudan for a year. After the conference in May, Mark will be making a trip into SSudan in June to visit everyone at their bases. Thank you for the faithful prayers – please keep it up, especially during these very busy next two weeks. So glad y’all are getting settled. We love you and continue to pray for you. So excited for you all to be in a home! WOO HOO! Will be praying for the family who is sick and for you all to make them feel dcomfortable and welcomed. YOU CAN DO IT!!!!! Praying for your crazy, busy week too. Love to you all! Praying for you all every morning. Will now include the names of your new team members. Love to all! Praying for you, Mark, and the kids! Thank you for sharing pictures. Praying for ya’ll. so glad everyone is getting settled. i think they’ll enjoy your southern hospitality. glad you found a house. our prayers are still with you all. PS Hayden thinks your kitchen is awesome!